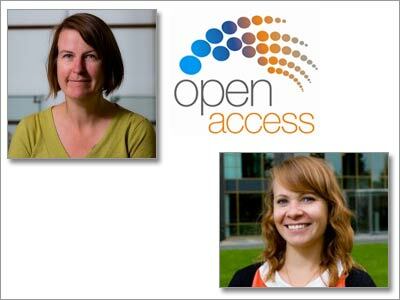 What’s in store for open access in 2013? As Director of Universal Access for Elsevier, Dr. Alicia Wise (@wisealic) is responsible for delivering Elsevier's vision for universal access to high-quality scientific publications. She leads strategy and policy in areas such as open access, philanthropic access programs, content accessibility, and access technologies. 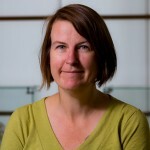 Based in Oxford, she has a PhD in anthropology from the University of North Carolina at Chapel Hill. While most of us are now back at our desks ready to start the new year, Elsevier has been busy scaling its programs and activities to offer authors a greater choice of open access options in 2013. 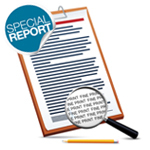 Back in July, the UK government endorsed the Finch Report recommendations for government-funded research to be made available in open access publications. The European Commission followed suit, making a similar announcement for an open access policy starting in 2014. Both of these developments have far-reaching consequences in all disciplines, bringing open access very much to the foreground of researchers' minds this year. At Elsevier, we have welcomed these new recommendations and have always supported models that help researchers communicate and access information in a sustainable way. This is why in 2013, we will continue to accelerate Elsevier's open access initiatives. 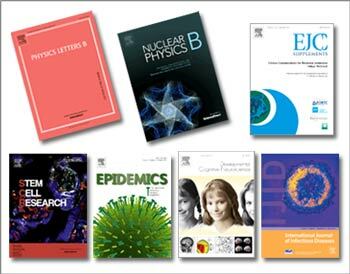 This year, we will continue to add to our list of more than 31 open access titles. 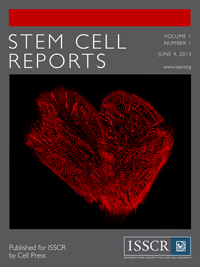 To start this off, we have already launched two new titles in January: Stem Cell Reports — the result of collaboration between Cell Press and the International Society for Stem Cell Research — and the Journal of Pediatric Surgery Case Reports . In addition to open access journals, we now also offer authors the option to make their article open access in 1,500 hybrid journals. This makes it even easier for authors to choose either after acceptance or retrospectively after publication. All our hybrid journals now have an open access options logo making it easier to identify where authors can publish open access. We remain committed to our other universal access initiatives, of course, such as enhancing access to our content in developing countries through our continued participation in the Research4Life program. Currently, we are providing access to over 2,000 journals and 6,000 books. Check out the new case studies to read more about the impact of such contributions. 2013 promises to be a really exciting year for open access at Elsevier. Watch this space for regular updates. The next big challenge for Elsevier is going to be adopting true Open Access article that conform to the Budapest Open Access Initiative and are acceptable to funders such as Research Councils UK. It's great to see the progress so far, but the <i>Journal of Pediatric Surgery Case Reports</i>'s (https://www.journals.elsevier.com/journal-of-pediatric-surgery-case-reports/) User Rights page says "Use of published articles for commercial purposes is prohibited", which of course means that this journal is not an acceptable venue for research funded by RCUK. We are all eagerly awaiting the finished RCUK policy (see the final sentence on http://www.rcuk.ac.uk/research/Pages/outputs.aspx which makes it clear that the last bells and whistles are still being worked on). Elsevier has given our public support for the Finch Report (see http://www.elsevier.com/about/open-access/position-statements) and we are working closely with others in the community to ensure the the UK Government open access policy is implemented successfully. Thanks, Alicia, this is encouraging. I'm not sure you're reading the RCUK position correctly, though. It's true that there is some wiggle-room in how aspects of the policy are interpreted -- for example, Mark Thorley found it necessary to blog about how the policy offers authors http://blogs.rcuk.ac.uk/2012/10/24/rcuk-open-access-policy-our-preference-for-gold/" a choice between Green and Gold</a> while maintaining a preference for the latter. But my understanding is that the policy itself will not change at least for some years. At any rate, I think it's <i>very</i> unlikely that it will change in any matter so fundamental as the licence to be used. Perhaps Mark or someone else from RCUK will comment here to clarify. Before clarifying whether or not Elsevier will accord both free access and full user rights to articles for which they are double-paid (subscriptions plus hybrid Gold OA fees) Elsevier should clarify whether it is still on the "side of the angels" on Green OA self-archiving by its authors, to provide immediate, unembargoed free access alone to articles published in its subscription journals. There has been some double-talk about authors retaining their (Green OA) self-archiving right, but only if they are not required to exercise it (by university or funder self-archiving mandates).